FAM artist, dramatic versatile actress Jade Lopez will be part of GMA 7’s MAGPAKAILMANMAN, this coming Saturday, November 16, 2018. This is a true story of two brothers (played the Cruz brothers Rayver and Rodjun Cruz) who are seamen whose boat was ravaged by sea pirates. 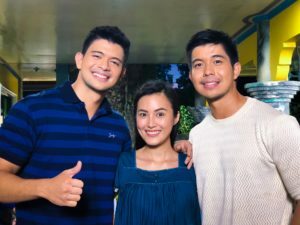 The episode is a two-part anniversary presentation of MPK entitled ‘Impyerno sa Dagat’ and Jade will be playing Rodjun’s supportive but feisty wife.